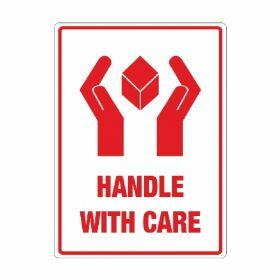 The message on these HANDLE WITH CARE labels can’t be missed as they feature a bright and bold graphic of two hands carefully holding a box, as well as the warning text HANDLE WITH CARE. Conveniently available on a roll, which can be used in a dispenser, our printed sticky labels are produced in high definition colour and adhere well to all kinds of packaging materials: cardboard boxes, polythene, plastic and wood as well as glass and metal. 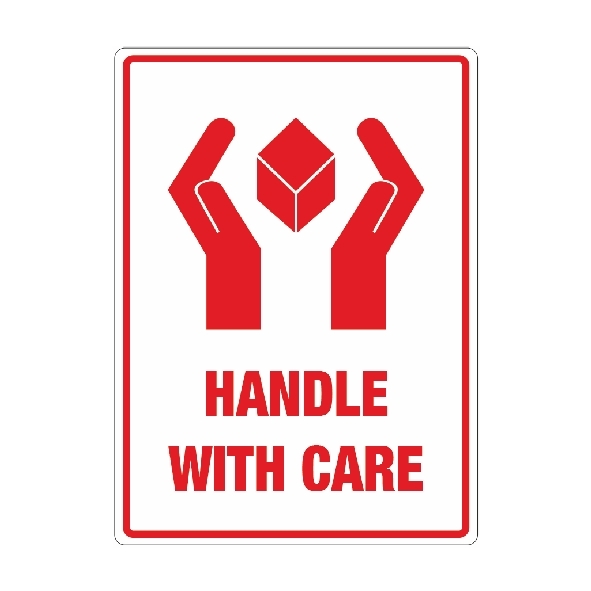 Our handle with care labels are the easy and effective solution whenever you need to ship or store fragile or precious items. These self adhesive “handle with care” labels are printed in eye-catching non-fade red on a white background. They measure 79mm wide x 108mm high and come in rolls of 500. The pre-printed labels are made of strong paper backed with permanent adhesive, carrying the warning HANDLE WITH CARE under an attention-grabbing design of 2 hands cradling a box – a universal image. 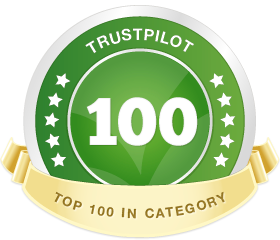 These packaging labels are therefore suitable for sticking on export shipping boxes as well as for general mailing, moving and storage purposes. Simply peel the “handle with care” labels off the roll, applying manually or in a dispenser.